B.S or A.A. with background in physics, materials science, electrical engineering, mechanical engineering, chemical engineering or equivalent with experience processing and characterizing new devices and materials in research environments. We seek technicians to support research for various projects, primarily in the areas of thin film processing and printing. Positions are initially for a fixed term and have the potential to become regular hires. Applicants are requested to submit a resume and a cover letter that describes examples of past project achievements. B.S or A.A. with background in physics, materials science, electrical engineering, mechanical engineering, chemical engineering or equivalent. Experience processing and characterizing new devices and materials in research environments. We offer a very competitive salary package and full benefits (medical, dental, vision, life & disability insurance, 401K). PARC employees enjoy the use of onsite health & fitness center and collegial dining at our onsite cafeteria. The PARC campus is in a spacious modern building in close proximity to the resources and opportunities of Silicon Valley and benefits from nearby leading universities such as Stanford and Berkeley. It is also close to many amenities, top schools, and outdoor activities (see http://www.parc.com/about/culture.html). 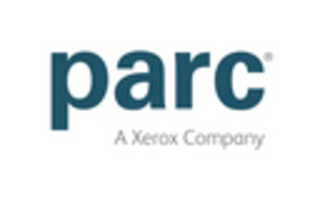 PARC provides a highly diverse environment and is proud to be an equal opportunity employer (see http://www.parc.com/about/careers/). The Electronic Materials & Devices Laboratory (EMDL) and the Hardware Systems Laboratory (HSL) are a group of physical scientists and engineers with a passion for identifying future hardware needs and a history of innovation in creating new technologies to meet those needs. Our current research areas include printed electronics, novel printing systems, 3D printing, energy devices and systems, hierarchical structural materials, RF and IR metamaterials, MEMS, displays, amorphous and polycrystalline silicon systems, x-ray imaging, acoustic imaging, optoelectronic semiconductors, visible and UV lasers and LEDs, compact optical sensing systems, drug delivery, biosensors and bio-medical instrumentation.